You would find NBFCs more willing to lend even if you have a poor credit score, says Adhil Shetty. Lending rates have trended downwards over the last two years. Currently, several lenders are offering home loans at an interest rate of 8.35 per cent, way lower than the 10 to 11 per cent rate that prevailed four years ago. For customers this translates into a lower equated monthly installment (EMI) on an existing loan, or allows them to borrow more to finance a bigger home. As they begin the process of short listing a loan provider, customers may find themselves wondering whether they should borrow from a bank or an NBFC (non-banking financial company). Here's a look at some of the key criteria that will help you make this decision. All new loans with floating interest rates offered by banks are now linked to the Marginal Cost of Lending Rate (MCLR). This departure from the base rate regime began on April 1, 2016. The MCLR serves as a bank's lending benchmark, upon which they charge an interest rate spread. For example, for home loans up to Rs 30 lakh, a leading bank has a spread of 35-40 basis points above its one-year MCLR of 8 per cent. 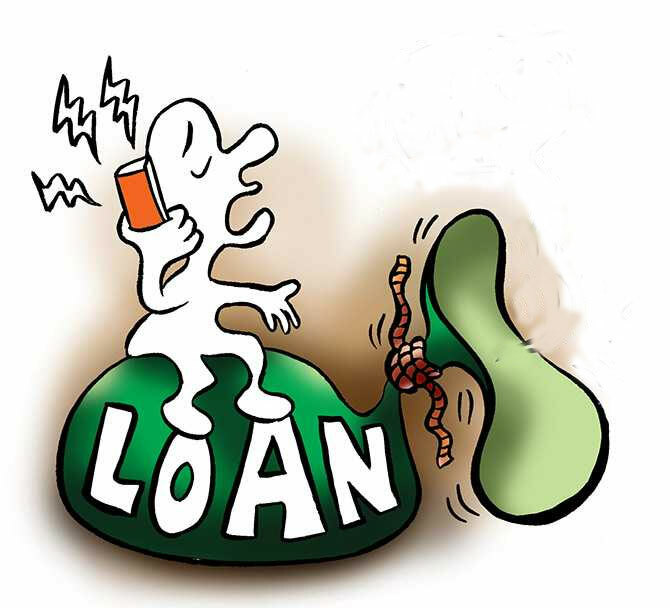 An MCLR-linked loan clearly mentions the intervals at which its interest rate will automatically change. In a falling interest rate scenario, this allows customers to receive RBI-mandated rate cuts in a transparent, time-bound manner. This wasn't the case with the base rate-linked loans where transmission of rate cuts was weaker. On the other hand, loans by Housing Finance Companies (HFCs) and NBFCs are not linked to the MCLR. They are linked to the Prime Lending Rate (PLR), which is outside the ambit of the RBI. While banks can't lend at rates below the MCLR, PLR-linked loans do not have such restrictions. NBFCs and HFCs are free to set their PLR. This allows NBFCs greater freedom to increase or decrease their loan rates as per their selling requirements. This also suits customers and provides them more options, especially when they fail to meet the loan eligibility criteria of banks. This also needs to be understood in context of a customer's credit score, explained below. The actual cost of property acquisition typically goes up to 105-110 per cent of the property value, including cost of stamp duty, registration, and an assortment of payments towards brokerage, furnishing, repairs, etc. Based on where you are in India, you may pay between 3 and 11 per cent of the property value as registration cost. Banks are allowed to fund up to 80 per cent of a property's value. For example, if you are buying a property worth Rs 50 lakh, you may receive a loan of Rs 40 lakh from banks. The other 25 to 30 per cent of your fund requirements would have to be met by you. Often, these last mile costs weigh heavily on the final decision to buy a property. Both NBFCs and banks are not allowed to fund stamp duty and registration costs. However, NBFCs can include these costs as part of a property's market valuation. This allows the customer to borrow a larger amount as per his eligibility, thus giving the NBFC an edge over competition. Both banks and NBFCs may bundle products. For example, it's not unusual for lenders to sell a loan protection insurance plan along with a home loan. The insurance plan helps settle the loan in case the borrower were to pass away during the tenure. Both banks and NBFCs have cross-selling targets. While banks have a much larger range of products to sell, NBFCs push more aggressively to sell third-party products like insurance to bring in more profitability per customer. Compared to banks, NBFCs have a smaller customer base. They have fewer branches and operate in fewer locations. As a result, there is an increased focus on profitability per customer. Customers need to evaluate whether the bundled products are useful to them. If not, they can refuse them and save costs. Today, there is heightened focus on customers' credit scores. Increasingly, the interest rate you pay on your loan is linked to your credit score. For example, a leading bank had recently offered its best rates to customers with a CIBIL score of 750 or more. You needn't wait to apply for a loan to find out your score. You can access one free report a year by visiting the Web sites of credit rating agencies such as CIBIL or through third-party credit report generators. If you scan the loan market, you will see that NBFCs have more relaxed policies towards customers with low credit scores. However, with a low score, both banks and NBFCs will likely charge you a higher interest rate. Loan seekers can make the best of both these options. A customer with a low score may start with a loan from an NBFC. Through timely repayment, s/he can improve his credit score. After this, s/he may meet a bank's eligibility criteria and may transfer the loan balance to the bank. If the outstanding loan amount at this point is small, it's better to continue with the NBFC. A home loan is typically a long-term commitment with significant interest costs. If you borrowed Rs 50 lakh at 8.6 per cent for 20 years, your total interest paid over the loan tenure will be Rs 54.89 lakh, which is more than the principal borrowed. Therefore, loan holders look to reduce their interest outgo through timely pre-payments. An overdraft (OD) loan facility helps in this regard. An OD loan is linked to the customer's bank account in which he can park surplus funds. The surplus over the EMI amount is treated as pre-payment towards the home loan, thus bringing down the overall loan liability and interest charged on the balance. Moreover, the customer can still withdraw the surplus as and when he requires it. At present, only banks provide the OD loan facility and NBFCs don't. This facility is useful to families with the ability to generate regular surplus income, such as a working couple. It is also useful for someone who may be in frequent need of short-term funds, such as a businessman who can withdraw this surplus based on his needs. Banks have more stringent paperwork requirements for home loans. This is not necessarily a bad thing for the loan seeker. In lieu of the greater scrutiny, s/he stands to receive an attractive interest rate. NBFCs are known for relaxed paperwork policies and faster processing. For example, in Bengaluru banks will not finance properties that do not have a 'B' Khata, but NBFCs will. Want to buy a home? It's a good time now!